Shadow theatre overcame a thousand-year path from eastern puppets up to professional actors with incredible physical flexibility. Its evolution is comparable to transformation of other kinds of art: artists were replaced by designers, literature classics – by best-selling authors. A twitching puppets with threads now look comical and boring for the Internet user browsing social networks and video sharing for spectacular performances of shadow theatre. What would he see? With a high probability, a performance on a regular TV show where they are persistently seeking fresh talents. And here they are: a well-organized team acting behind the white screen with damped lights. In tandem with light electrician, they plunge audience into delight, showing elaborated scenes by "flick of the wrist" and other parts of body. The crowd applauds, the actors striving for success. Now let us remember the background of what we now call the theatre of shadows. Homeland of the genre can be regarded China, where puppet shows gathered audience two thousand years ago. Wandering companies of actors tirelessly travelled from one village to another, carrying everything they needed for performances on their backs or in trolley. Typically, there were four of wandering actors: a puppeteer, his assistant and two musicians. Shadow performance was staged in-home: actors modestly announced their arrival with the gong, and anyone could host them. Having a roof over head and food, the actors unfolded a white sheet, and highlighting it with lamp began a show that lasted 15-30 minutes. 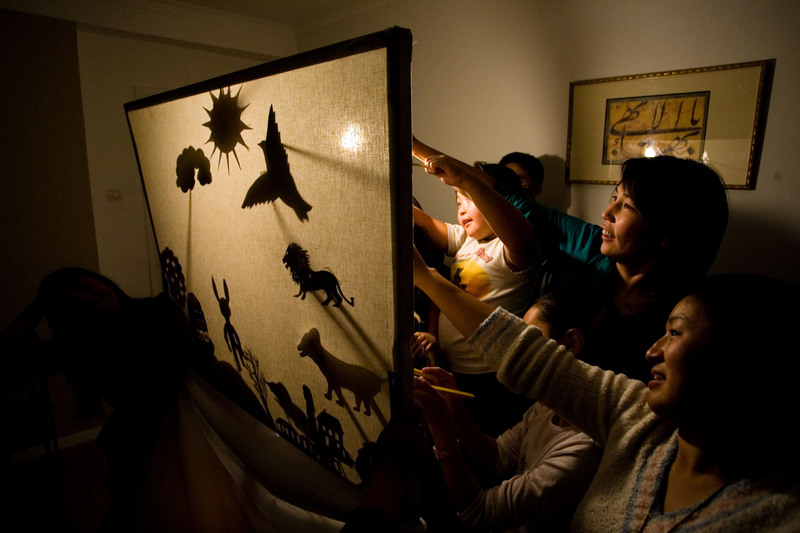 Pí yĭng xì is a Chinese shadow puppetry where the slightest detail mattered. Thus, a simple puppet was crafted from several materials, each of which transmitted light differently. As a result, figurines made of both donkey and calf leathers and parchment, added new hues for shadow on the canvas. Silhouette of a character was stripped of sharp outlines on the screen - eyes could see a blurred image that combined both dark and light shades. Good shadow puppet troupe had in its repertoire up to 300 pieces, each of which could be chosen by the host. Scenes were sourced from folklore or Chinese literature. For example, the plays "The White Haired Girl" and "Journey to the West". The first is a folk legend about the ghost of white-haired Chinese woman who straightened her enemies at night. The second work is one of the classics for the Middle Kingdom. 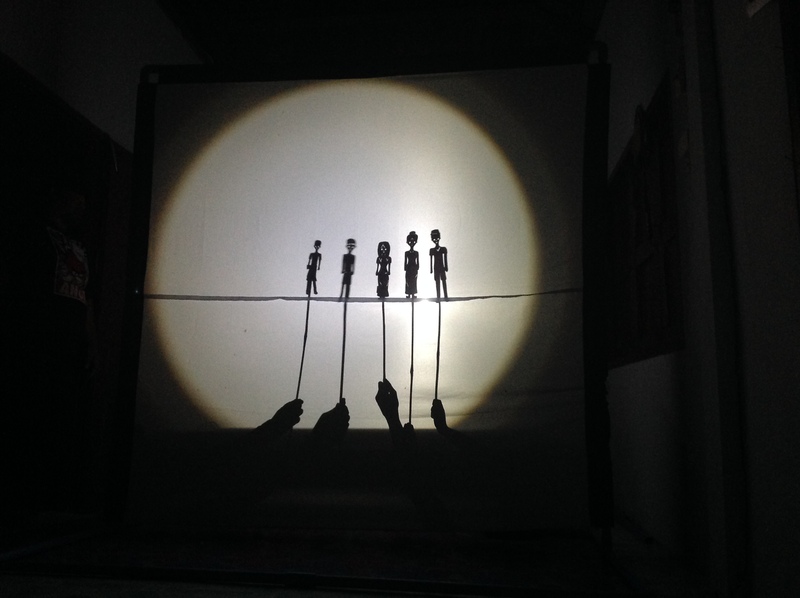 No less interesting is the Indonesian shadow theatre Wayang Purwa. The first mention of it can be found in the inscriptions of the kings from the island of Java, dated 9-10 centuries AD. The main actors in the Wayang were leather puppets, which differed from Chinese counterparts by fact that their silhouettes were seen by the audience in profile only, and therefore the viewer can only notice one of their eyes. These figurines also had movable, articulated arms, bent at the elbow joint on both sides. 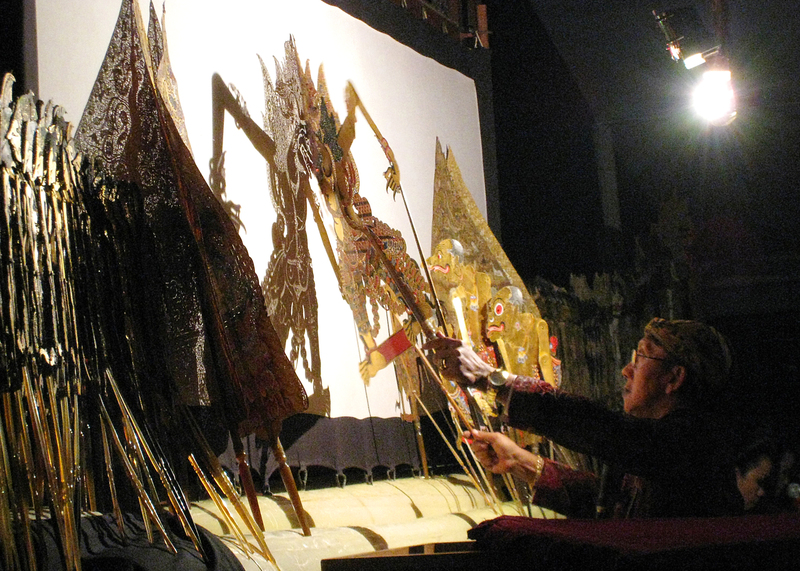 Another feature of the Indonesian shadow puppetry was the fact that the viewer could watch the show from the back side, being among musicians and actor (dalang). In this case, the observer would estimate the difference in the colour of dolls. Bad characters had red faces, noble - white, brave - black, cowards - green. Also, significant was facial expressions of figures by which it was possible to determine temper. The doll was manipulated with a cane attached to the torso and head, as well as sticks, responsible for the movement of hands. Wayang’s repertoire consisted of traditional works of the ancient Indian and local epics, as well as improvisations on familiar motifs or with the participation of classical characters. Dalang was a hereditary and extremely difficult craft. He had to remember countless stories, learn by heart the literary sources, to master the ancient Javanese language. Dalang combined a psychologist who felt the mood of the audience, a musician who conducted the orchestra behind him, and an excellent orator with whom night Wayang presentation lasting from sunset to sunrise, passed in high gear. To Europe, namely Italy, shadow theatre came in the 18th century in transit through Turkey, where it also found a distinctive shape. Eastern art was spreading further, in 50 years reaching its peak in the Old World. However, Europeans preferred shadow theatre with the real actors to boring puppets, thus full silhouettes of real people appeared on the screen. What came of this, we can observe today. Nowadays Asian shadow theatre is lacking commercial support and is endangered.